This month my son was asked to interview someone who is an immigrant to this country and write their story as a creative writing exercise. He has changed names to protect the innocent -- and I'll never tell -- and his teacher has asked each kid to "publish" their story in some way. So, here's Graham's story. Enjoy! My name is Maria Sanchez. I am 42 years of age and am an immigrant from Mexico. The story of my life is very sad, but very intriguing. What most people don’t understand is that the struggle to get to this country is harder than most of life itself. The story of my immigration starts when I was just 15. I woke up to the sound of a car driving up to my house. At the time I lived with my mom and all of my sisters. My mom came to put me onto the bus. The exhaust from this vehicle made me extremely nauseated. It seemed like the bus was from the 1900s. It was old, rusty, and worked very hard. I was awake enough to notice the squeaking doors open and this dark shadow at the entrance. He had on a hooded jacket and said one thing to me, “Get on now!” My knees were shaking. I didn’t know who this man was. He was very unfamiliar and secretive. He said it again, “Get on the bus now!” I wanted to but I couldn’t. I felt like someone glued my feet to the concrete, and my lips were shut. My mother shook me out of this state with a hard push towards the bus. I stepped onto the bus and as the doors were closing my mom handed me a backpack and an old brown envelope. She yelled over the noise in Spanish, “Don’t open the note until you’re safely in America!” I nodded and the bus moved. Slowly the wheels began to turn with a loud squeal. My mom moved with the door. She ran as far as she could and said to me, “Te amo!” Tears streaming down her face and mine I screamed, but the bus didn’t stop, and we drove onto the unknown road ahead. That was the last thing she said to me, “I love you!” That’s the only other thing I remember of her. We were very poor, and it was hard for us to make a living in Mexico. The trip over was two days on a bus with a man I didn’t know. It was long and hot and I wasn’t sure where I was. The man didn’t speak much to me. He was very quiet, and looked very sad. On the second day I was sleeping when the man came to us and yelled, “Get out of the bus now!” We didn’t know what was happening we got out and everything was blurry. There were flashes of light and brown. I couldn’t see anything. The light was a shock to my eyes. Before I know it the man is throwing this huge rope over a wall and I’m climbing up it to a new green country. I stood on the huge wall for a second. Looked back to everything I once knew. My mom, my sisters, my friends. And then I looked forward, to the terrible future that will become my present. The confusion, the frustration, and the struggle of coming to a new country. I am not quite sure what happened next. I heard a siren. A loud boom and I fell off the wall and ran. There was a man chasing me for a while, but I got away. When I finally stopped I thought to myself, where am I? I decided I would go north and sure enough I went from the border all the way to Los Angeles. I didn’t know anyone, I didn’t know any English, and I didn’t know what to do. I had a small bag of water and an envelope that I was told not to open until I got to America. It was old and brown with what looked like blood stains, and on the back it said Maria. It was made of this rough kind of paper which felt like sandpaper. It was old, wet, and I was scared. I didn’t know whether I should open it. It was confusing to me why anyone would give their child a note like this. I closed my eyes, I slipped my finger through the sealed part of the note and in one quick motion I opened it, and then closed it again quickly. I couldn’t feel my fingers. They were numb and so were my feet. My heart was racing and finally I slipped open the note and brought out the papers inside. I couldn’t open my eyes. I found a letter from my mom explaining why she sent me on the bus and where I was. Even after I took out the paper the envelope was heavy. I looked inside the note. My lip was shaking rapidly. Is it a knife? A gun? Anything that could kill? I peaked inside and found one-thousand dollars. Right there on the street I burst into tears. My mother put all of the money she saved for me and put it in this one envelope. I was so grateful and just sat there on the street. Finally, I decided to look for a home. I was fortunate enough to find a very cheap apartment where I could spend a couple weeks. I was so confused and didn’t speak any English. I had roughly six hundred dollars left and wanted to take English classes. I didn’t know where to go or who to talk to. There was this man named Marcus Vargo who lived in the apartment next to me. He was very handsome and knew where I needed to go. He kindly offered to give me a ride. My stomach was cramping from nervousness and I had no sense of what to do. When we arrived the man surprisingly paid for the lessons. I was so grateful and didn’t know how to repay him. Little did I know, Marcus would remain a very influential person in my life. English was very hard to learn. They started with simple phrases like, “Hello, my name is….” It took me very long to learn one simple sentence. When I was leaving my teacher came up to me and asked if I was an immigrant. I didn’t know what to say, I was sweating and my knees were literally knocking together. I finally said, “Yes, I just came from Mexico.” The woman seemed interested and curious. She asked me if I had a job. I responded with a simple no. We stood there for a very long time after. The shadows of the trees were waiving on the oak wood floor, which was creaking like an old door being opened for the first time. “Would you like to be my housekeeper?” The silence ended with this one sentence. I thought to myself could this be where my life is going? I decided to say yes to her generosity to which she replied with, “Great I’ll see you tomorrow.” She handed me a slip of paper with her address. I thought to myself, so this is what I’m going to be. A lonely housemaid without a family. However, I could have never foreseen that this was only the beginning of my journey. “You want to marry me? !” I yelled at Marcus. Ugh. I was so vulnerable and said yes. Before I know it I’m coming home from this lovely dinner and wishing I could stay with him for the rest of my life. With that jet black hair, those gorgeous brown eyes, and his gentle hands…I fell in love. I didn’t know how to tell him. I didn’t know what my parents would think, and I didn’t know if I would be happy with him. Well it turned out that I had no choice because I found out six months later that I was pregnant. I was baffled! I was surprised! However, I was mostly scared. I told Marcus that I was pregnant. He had the same reaction I had. His face went white, his hands shook, and he didn’t know what to say. Finally, he squeaked out, “Well whatever we do, we need to do it together.” We got married right there. Well, I mean not really, but we became husband and wife right then. I’m six months pregnant now. I’ve progressively gotten freaked out more. The only people I got comfort from was my new husband and my job. At this point I was working for fifteen different people. They were all very kind, and it was all thanks to my mom. She was the one who always cared for me and made sure I did the right things. So, I sent a note back home with some money that I had made. Before I know it I’m sending a note home every Saturday evening, checking in on the family. Three months later, as I put a U.S. stamp on the note, my water broke. I was trembling. No one was home, not a sound, just the shaking of my own body. After what felt like a decade I called an ambulance. They were very fast, but truthfully not fast enough. Right as that front door opened I passed out seeing flashes of dark and white, and red colors bouncing around the room and down the hall. And then – all black. The ride in the ambulance was all a blur. The fireman woke my up by splashing water on my face. It was nice and cold and wet. I was now in a medical bed. All of a sudden there was immediate pain flowing through my entire body. I didn’t know what was happing to me. I was crying because the pain was too great to stand, but then I saw my husband walk in the room, and everything just started to become more clear. I wasn’t scared anymore. I was confident that he could scare away the danger no matter when it came. Then abruptly the room started going dark again, the pain left my body like a cheetah leaping towards a gazelle. My sight and sound came back to me. Everything slowly started to make more sense, and then a woman who I didn’t’ know said to me. My life took a leap right then. Everything was clear. This was my new life. I’m going to be a mother, a wife, and a housekeeper. I was fine but all that mattered to me right then was that I had a wonderful life in this wonderful world. I almost lost one of my dearest friends at the end of last year. She jumped out of a plane. On purpose. My heart stopped when a picture of her falling through the sky popped up on my Facebook feed, gravitational forces pushing her face into a half-crazed smile as she plunged to the earth strapped to a handsome guide just putting in another day at the office. Yes, she’s that friend – the friend you didn’t dare to dare because she would ALWAYS do it, the friend (you might have by now surmised) who joined me in my table dancing escapade (see opening blog post). She has written a beautiful blog post – “There is No Such Thing As Fearless” – about this experience and I highly recommend her wonderful blog found here: http://middlecinnamonroll.com. By way of background, I am friends with the principal of our middle school. I have known and admired this man for many years. Last spring, he discovered that I was running a mindful meditation group at my house and asked if I would be willing to teach his middle schoolers. Sounded like a good idea to me, so I took some courses with an organization called Mindful Schools to train myself to teach kids how to sit still and meditate (you can find them and their wonderful work in schools across the country at www.mindfulschools.org). I started teaching middle school mindfulness in December, just before the winter holiday, and since several of my dear readers have asked for reports, here is Installment One of my personal plane jump. Because this is a pilot program and due to the vagaries of squeezing it into the schedule, I've been given 3 groups of roughly 25 kids each – two groups of all boys (the soccer teams and the basketball teams) and one group of girls (who are in PE for the term). I was anxious about having all boy groups, I’ll admit, especially groups so big. Would these 7th and 8th grade boys ever be willing to sit quietly amidst their peers with their eyes closed and think only about their breathing? Seemed about as likely as flying swine. So on my first day, I decided to start with the girls. I’m a girl. I have a daughter. This would be a gentle way to ease myself into it, right? Um, wrong. I forgot the modifier “middle school” before the noun “girls.” Boy, did they give me the once-over (making me so glad I let my daughter dress me for the first day). As I worked to get them excited about mindfulness, at a certain point I realized that I was having to work too hard and I became aware of an inordinate amount of fear in the room -- fear that was not mine. These girls refused to participate, their facial expressions changed only microscopically when I told them Miranda Kerr and Katy Perry meditate, and they glared at me as if they would die if I asked them to talk. They were as frozen as statues. Were we that self-conscious in middle school? I suppose so, and maybe that's why connecting with their fear made me deeply sad. Needless to say, I walked out somewhat deflated and shaken and had to count a few deep breaths to re-center myself. It’s probably a good thing that my demanding trick-or-treaters didn’t show up in the class – that might have been adolescent overload. Thank God for the boys! Yes, they were loud; yes, they were rowdy; and yes, I had to work for their attention. But they played! They listened. These 7th and 8th grade boys were like puppies – I threw them a bone and they tossed it around a bit, but it came back to me. They answered questions. They flopped all over the room. They loved my sports analogies. They were spellbound as I told them about the Seahawks and LeBron and Barry Zito. They hoisted my confidence back into the air and I literally left them flying. Obviously, Lesson 1 was about buy-in. Here’s the hook that even got a miniscule blink of recognition from the girls: How many times in your life have you heard an adult tell you to pay attention? And how many times have you heard an adult tell you how to pay attention? Most adults will assume that if a child is looking at them they have that child’s attention, while in fact this could be the furthest thing from the truth. As humans (or rather, as primates), we are often at the mercy of what Buddhists call our “monkey minds” – minds that constantly strive to distract and entertain us with visions of horror, speculation, worry and regret. How do we wrest control of the movie projector and maintain focus when there are so many fascinating films our brain is ready to play? So this, then, is mindfulness: The practice of paying attention on purpose to what is happening now. It is full-sensory living. 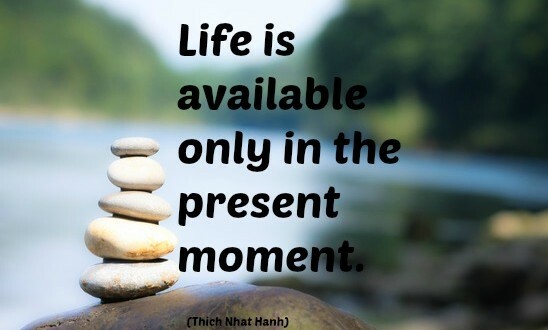 How many of us live moment to moment fully present in our present? If you’re interested in giving it a shot, play along with my students. Here’s the practice from Lesson 1: Sit in a chair with your feet flat on the ground and your spine straight but not overly erect. Let your muscles hang loosely from your back. You should find that you’re in a comfortable but attentive posture. This is your mindful body. Now slump down into your chair. Spend 30 seconds or so there. What just happened to your mind? Did you just get a bit sleepy, a bit fuzzy? Now sit back up in your mindful posture. Notice how your mind feels now. A bit more alert? When we sit up, we naturally take more air into our lungs which gives our brains a greater oxygen flow to work with, making us feel more awake. It’s not rocket science, but when my students came back and reported on their week of practicing this, you’d have thought I’d just given them the keys to the kingdom. Play with your mindful posture this week. See if it helps your brain to be a little more alert and focused. Maybe you can save a few bucks on all those late afternoon lattes. I promise not to record every lesson here, but I will continue to share the nuggets. Spoiler alert: I’ve now taught about 6 lessons and am well into teaching the kids how to meditate and, shockingly they are doing it. At least most of them are and really, what teacher can ask for anything more? It's official. I'm getting old. I noticed this year a decided lack of post-Christmas depression, apparently a state of malaise reserved only for the young at heart. I attribute my minimal nostalgia to the fact that, as we all know, time has accelerated. I don't feel particularly sad that Christmas is over because I know that if I close my eyes for 5 minutes it will be Christmas again! As a child, it felt like eons between Christmases; now it feels like nanoseconds. Each year as we lug the decorations out of the rafters of the garage, my husband says, "Didn't we just put these away?" Don't misunderstand me -- I LOVE Christmas. Unlike Halloween, I am anything but a Scrooge this time of year. I love the trees and the lights and playing Santa and even the incessant shopping and the holiday traffic. I love the carols and the church services far from home with a bunch of strangers gathered to be witness to the holiness of the longest night of the year and the birth of their collective story. I love the snow that inevitably blankets Tahoe on a Christmas Eve and the excitement of my children as they rip into their precious Christmas booty. But what I love most are the stories that are shared when family gathers. There is always someone in the group who hasn't heard or has forgotten a treasured story, giving the teller the excuse to tell it again, play it again, let us laugh together again. Funny Daddy stories. Mommy's secret girlhood stories. Family history from long ago. This year's favorites included Daddy's bicycle ride across the Queensborough Bridge in the freezing, blowing snow, and Mommy's first period, when Grandaddy went out and bought an ice cream cake at Carvel so that the whole family could celebrate this big achievement (yes, mortifying, but it makes a great story). One that always brings down the house is the story of Daddy being spun like pizza dough by a tiny Japanese masseuse in Tokyo. And, of course, there are meaningful stories too, meant to guide and soothe and lend perspective -- stories about grandparents and great-grandparents and poverty and illness and overcoming. And some that do double duty -- like the Queensborough Bridge story, where Daddy was forced into that bitter bike ride only because he literally did not have the change for a subway token. "Don't slip away and I won't hold so tight"? What do you leave your child when you're dead? Is it just me, or is this remarkable poetry? I cry when I hear it, when I type it, and when I re-read it for typos. I have felt this holiday as never before that our words sink deep into the tissue of our kids. I suppose any priest or rabbi could have told me this long ago ... why else do we repeat the same prayers, the same stories, the same liturgies? Thanks to Linus, we can probably all recite the Christmas story of the Angel's announcement to the shepherds. Because hearing stories told and retold reinforces those lovely neural connections and ensures that we remember not only the story, but the warm fire and the love of family and laughter or tears that surrounded us when we heard it. I will never forget the sight of my mom looking like she was about to pee her pants as my husband told his Japanese masseuse story at the sushi restaurant last night. I have always loved it when my mom gets tickled ... she gives into it so fully that she inevitably cries. As her mother did before her. As I do. And as, I have no doubt, my children will as well. We are all of us engaged in passing on -- passing on memory and intention and love through our stories. So take an hour or two this holiday to be intentional about telling stories -- your children care. And yes, they will listen. I’m a Halloween Scrooge. My mother was a Halloween Scrooge, and I’m afraid I’m in the process of creating two more. For years I did my best to pretend to enjoy this celebration of … what? Gory costumes? Jack-O-Lanterns? Ghost stories? I think that’s part of the problem for me – there’s no clear object of celebration. I need it spelled out. American Independence. St. Patrick. Love. Veterans. Baby Jesus. I get All Saints Day, that lovely and solemn day on the liturgical calendar when we gather to pay our respects to those who’ve gone before us, but I just don’t understand how this has become a sugar-laden free-for-all. And watching the procession of kids and adults without kids (yes, without kids) filing past my door asking for candy, has not helped to improve my view of this holiday. I spent $100 on Halloween candy this year. That’s six, enormous, fun-sized bags from Costco. Our neighborhood loves Halloween. The big street adjacent to ours closes to traffic, the police come to supervise, and kids come from all over town. It’s mostly pleasant (except for the adults looking for a sugar high), but there are always some hiccups in the night. This year, there was indigestion. I was sitting on the front porch with a girlfriend handing out candy from two big bowls spilling onto the steps beside us. A trio of middle school girls came prancing up dressed like identical hookers and clearly feeling that they were in charge of the world. One girl leaned over and peered into my candy bowl and huffed, “What? You don’t have the FULL-sized candy bars? Really?” Really. She really said this. After recovering from the shock, I looked at her hard and said, “If you don’t like the merchandise, you can shop elsewhere.” What was truly remarkable is that she plowed ahead, completely unconscious of the spoiled rudeness of her remark. She went on: “Why don’t you have the big bars? They’re only 99 cents at the dollar store.” And yes, she really said that too. Now, I don’t want to make myself sound old by engaging in a diatribe about manners, so instead I’ll make myself sound old by making the following observation: For a generation that grew up hearing the mantra “You get what you get and you don’t get upset,” it strikes me that they are singularly unable to handle the defeat of their expectations. Who do we blame for this? Steve Jobs? Larry Page? Walt Disney? How about ourselves? It is interesting that in the three years between the births of my daughter (2000) and my son (2003), technology had changed so drastically that we had replaced CDs of Baby Einstein with DVDs of Little Einsteins. Who supplied my son with the DVDs? I did, of course. Not that he had unlimited access to entertainment or even watched these shows often, but even a glancing familiarity with The Disney Channel seems to create an insatiable demand impulse in the most mellow of children. It seems impossible to be a parent today and not notice that our consumption of television and movies about bratty, spoiled teens has spilled over into our families, that our corporate fascination with our devices has created a culture of instant gratification. I was a strict monitor of television, and yet friends arrived wanting to play Hannah Montana (definitely on the “no-watch” list at my house). Then iPhones and iPads arrived with the capacity for unlimited entertainment. Now it’s SnapChat and Instagram, and I see Twitter rising across the horizon. I feel like I’m standing with my finger in a dam trying to hold back a tsunami. Obviously, no woman can stop the tide, so I’m having to learn to go with the flow. I do see that these new technologies have enhanced our lives and our children’s learning in many ways. But since the consumption of media is a two-way street – we are influenced as we influence – our presence in the virtual world becomes a reflection of our real world mind and vice versa. We have to learn to be mindful about what we allow in, understanding that humans are natural imitators. Our mirror neurons have been developing for tens of thousands of years. I could have made a list of the top 10 media consumed by my prissy Halloween guest based solely on her behavior and the two sentences she gifted me with. Next month, I begin teaching a mindfulness class for middle schoolers. It is my great hope that by teaching these kids how to direct their attention, they will become better able to moderate both their behavior and the ways in which they allow themselves to be influenced by culture and media. That’s a big dream, I know, but one that I think is achievable in the long run if we parents become mindful too. In the short run, it’s my much more modest hope that Miss Halloween is in my class. ﻿A few weeks back, my husband and I hosted a reunion. It was a small gathering of friends from a mostly unhappy time that feels foggy and long ago. An inauspicious gathering like so many others around the globe that summer Saturday night, and yet ... I think it may have fundamentally altered my personality. I'm not really a Facebook, reconnect-with-all-your-childhood-friends-and-tell-them-everything-about-your-life, kind of gal. I'm more of a live-in-the-present-and-forget-the-past kind of gal. My family moved around the country a good deal when I was a child and my coping mechanism was to simply move on. I'm a lousy correspondent, as the few (count them, two) friends I've managed to hold on to from high school will tell you. I'm not sure what forces led to my reaching back and grabbing a piece of my past, and I take no credit for it. The location of the reunion at my home was simply a matter of convenience for all more than it was vehemence on my part. Not that I wasn't happy to be reconnecting with these friends from a finished life chapter -- I loved these people and carried a nagging sense of regret when I thought of them and our thinning ties -- but I just didn't understand how deeply I needed this reconnection, how deeply I needed them. It hit me suddenly, as these things do. I was sharing a laugh in the kitchen with one of my girlfriends who said (just as my 14 year-old daughter approached), "Do you remember that time you were dancing on the table at Tokyo Delves?!!" Let me just interject right here that I'm not exactly the dancing-on-the-table kind of gal either. My jaw dropped because, no -- frankly, I didn't remember dancing on the tables at Tokyo Delves ... at least not clearly. Predictably, my daughter's eyes shot open and she exclaimed with delight, "Mom! YOU were dancing on a table??!" I said, no I was sure I was NOT dancing on a table, at which point another girlfriend walked up and said, "Oh yes you were! It was the night you passed the Bar Exam!" ... And it all came rushing back. I laughed and honestly, almost cried, absolutely thrilled to have this story back, this moment of shared joy with people who loved me once, this legacy of exuberance to pass on to my daughter. I knew in that moment that despite the time and distance that had grown up between my old friends and me, despite the difficult stage of life I passed through with them at my side, that I would not let them drift away again. Our stories, our time together, had been too precious to surrender to the busyness of life ... and just because the chapter was over didn't mean the characters had to vanish. We traveled to Ashland, Oregon this summer, our family of four, to take in the Oregon Shakespeare Festival. It was a wonderful week of fabulous theatre in a beautiful town. We saw a terrific production of Sondheim's "Into the Woods" that has stayed with me in the way that only marvelous theatre does. If you haven't seen this musical, it's quite dark in a hopeful sort of way. Fairytale characters die and lose children and all sorts of horrors are confronted as Jack and Little Red and The Baker and his Wife dare to journey into the woods. You have to every now and then. As I put my kids to bed that night, my 11 year-old son asked, "Mommy, there are really happy endings, though, aren't there?" My daughter, with all the worldly wisdom of a teenager, snapped, "No, there aren't." Quickly shoving my "Mommy" hat back in place, I tried to hang onto the lesson of the night for them for another few minutes: "Of course there are happy endings, but we have to earn them, don't we? There will first be challenges and trouble, and it's how we deal with our journey into the woods that determines who we are when we get out, don't you think?" And maybe, now that I think about it, it's also a bit of how we remember and honor our trip into the darkness once we emerge. So now I have reconnected, at last, with friends I made on one of my own journeys into the woods. We were friends during a time when many of us didn't know yet who we were going to be, when relationships and marriages were ending and new ones just forming, when we were confronting the onslaught of time and trying to run from it as fast as we could... I have survived other journeys into the woods since that time, but what I learned that lovely summer evening was not to leave everything and everyone behind as I leave the forest. These friends who were friends of a sometimes dark time, look much better in the daylight, and to hold onto them is to hold onto the stories of my growing that connect me to my past and enrich my present. l see now that the family you choose while in the woods is the family that means the most to you once you're back on steady ground. They are the keepers of your stories. 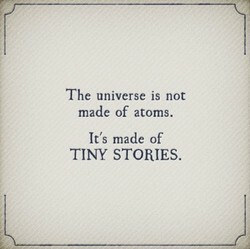 We are all the sum of our stories. And what are our stories but tiny links in a chain that takes us back to our beginnings. Having collided with mid-life, I realize daily the importance of sharing our stories with each other not only as a means of learning about each other, but as a way to create connections, a way to link up. This is a blog for story -- whether it be personal anecdote, photography or reviews of great novels. Please chime in with your own stories by way of the comment button, but do keep it clean and respectful -- my children will be reading! I hope you enjoy the stories you read on these pages! Copyright 2014, Laura N. Unauthorized use and/or duplication of this material without express and written permission from this blog’s author and/or owner is strictly prohibited. Excerpts and links may be used, provided that full and clear credit is given to Heather D. and 'becomingcliche' with appropriate and specific direction to the original content.